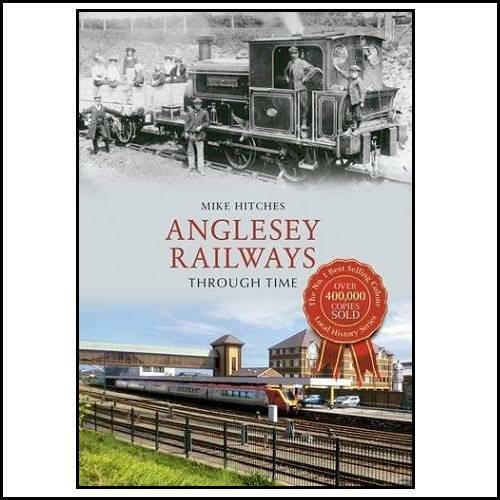 A railway arrived on Anglesey in 1848, linking London and Dublin. It was the great railway engineer Robert Stephenson who ensured that the railway link to Ireland would run along the North Wales coast to Holyhead when he presented plans that overcame the engineering challenges associated with the route. A branch was subsequently built from Gaerwen to Amlwch after the LNWR absorbed the CHR. This Anglesey Central Railway was first opened in around 1865 and completed in 1867. The LNWR won the contract to carry the Royal Mail by rail, but it was the City of Dublin Steam Packet Company that carried the mails across the Irish Sea. The LNWR did, however, build a magnificent inner harbour in the 1880s. The railway still runs from London to Holyhead and boats continue to sail from Holyhead to Ireland, but today only the Llanfair P.G., Valley (which serves the RAF base) and Holyhead stations remain.